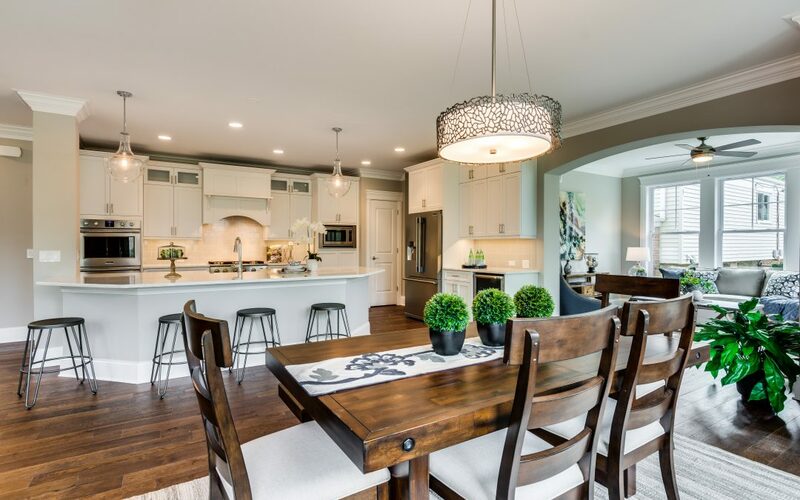 Here at Chicagoland Home Staging, we understand you may not exactly like spending your time cleaning, so we have a few cleaning hacks we wanted to share with you to save you time. Dissolve hard water stains on your water faucets and showerheads by wrapping them up in a plastic bag filled with vinegar and a dash of baking soda. Secure the bag with a rubber-band. Leave it on the item for at least one hour or you can keep it on overnight. This will help de-scale and deep-clean the items without harsh scrubbing. Major appliances are usually sold with the home, so it’s important to clean all appliances to help them run more efficiently and avoid a fire or flood. Consider lining your fridge shelves to avoid inevitably spills, then you can just pull the liner out and wipe it down and not have to remove half your fridge to clean up a sticky mess. This same technique works well in the oven too. Prevent future messes with an oven liner to catch drips. Bust through cooked on grime in your oven by scrubbing with a Magic Eraser. Have a dirty microwave? Microwave a vinegar-water mixture for five minutes in a glass or plastic bowl. The steam from the mixture will allow you to easily wipe down the inside quickly. Your dishwasher doesn’t just have to be for your dishes. There are a ton of things you can deep clean in this appliance with a push of a button. Sponges, cleaning brushes, plastic toys, trash cans, dust pans, fridge shelves, vent covers can all benefit from a cycle. Instead of just brushing the dust around, use a tool like a Swiffer duster that collects and captures the mess. On your ceiling fans use an old pillowcase to trap the grime. Just put the pillowcase over each blade and slide it off. Quickly dust and de-fuzz a screen door or window screen by rolling a lint roller over the surface, for removable screens you can wash them down with a garden hose. While we love our pets, they can make a mess. Remove embedded pet hair with a watered down plastic glove. Place the glove on, put it under water then wipe over the upholstered area to pick up pet hair. Also, wipe down baseboards with a dryer sheet to help remove and repel not only pet hair but dust too. Once the property is spotless, it’s time to prepare the property with on-trend furnishings and accessories. Let our team help you show off your property for quick sale, contact us today for more information.